Print and design go hand in hand. One is nothing without the other and when combined their reach is far greater than the sum of the individual parts. At Kaizen we have a team of 6 full time graphic designers right here in our Belfast office. From corporate logo to business cards, brand guidelines and booklets each of our team are unbelievably talented and experienced in bringing your campaigns and projects to life through great design. By providing unrivalled attention to detail, we are leading the way forward bringing great design to businesses all across Belfast and beyond. Being coupled with our print business has a certain stigma, as traditionally in-house design teams within printers, haven’t been to a award winning standard. However we are here to change this 1 design at a time and are using our print knowledge to bring our design projects to the next level. You will see the designs we have created all around Belfast, right in front of your eyes and in the most obscurest of places. But our reach over the past 6 years has presented us as one of Belfasts’ most engaged graphic design studios. We don’t stop with designing for print either. Our in-house team of web team have all the experience and skills necessary to transform your projects into websites, e-newsletters and mobile apps. Over the last few years social media has really taken over as one of the most influencing marketing opportunities for small and medium sized businesses. These are then businesses best suited to its use, as they are agile enough to respond to current affairs, but also big enough to understand they need a plan for their social media use. In 2014 we launched our own social media development team with the Kaizen Print Design Studio. Our team worked with Hootsuite to complete their “Hootsuite University” which put us firmly as the first (and sole) recommended partner in Belfast. We know what works on social media and more importantly what doesn’t. So let us supercharge your social marketing and take your business to the next level. 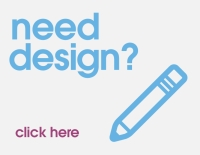 Get in touch with us on 028 9002 2474 to discuss all the design and marketing opportunities for your business.